Social-political commitment time is difficult to organize for many people with children. That is why we want to create solidarity structures for child care at the climate camp. Children with special needs are of course also welcome! There will be a kids tent with games, books and crafts stuff, and a giant trampoline outside. We would be pleased if you also bring materials! The people of our Kids’ Club are preparing some in advance and have learned from the experiences of recent years. We want to make agreements and together ensure that the kids feel happy to remain with others – and that the carers feel up to the task. Is important to us that everyone who is interested in childcare jointly set this up with us. You can find us under kids-kc2016@autistici.org. In the children’s program, we want to experiment with ‘Skills for System Change’ and have with lots of fun together with adults. There will be at least one special activity for children each day. We plan wilderness adventures and dance, theater, rock climbing, and more – and are open to suggestions from you! We see such experiences as an essential part of education for the social ecological transformation rather than as mere ‘entertainment’. And because the adults also need these skills, we hope that the children’s program is an inspiration for the whole camp!**. Workshop for young people: Discrimination – what’s that all about? How does stereotyping become prejudice and when doe discrimination begin? What are the symptoms of discrimination in everyday life – in me and around me? How can we recognise, understand and avoid this? And how can the theme be anchored sensitively in schools and free time, an openness for all to live and not to accidentally exclude anyone? With a variety of inputs and interactive exercises, this workshop would like to raise awareness of the different faces of discrimination and give room to work together to see what the conscious handling of young people can look like. *Teacher:* Andrea-Vicky Amankwaa Birago, freelance consultant for diversity, non-discrimination and intercultural opening for ENGAGEMENT GLOBAL, UNESCO, Hamburg Institute for intercultural education, Volkshochschule Hamburg, etc. – Social-political commitment time is difficult to organize for many people with children. We want solidarity structures for childcare at the Climate Camp and so we want to create space for commitment AND children. Finally, yes the good life should (still) apply for their generation. – Social change must take place across generations. The (very) small may not be excluded here. 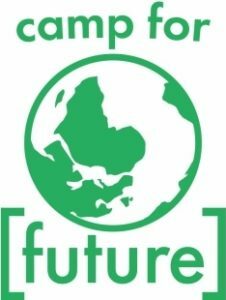 Also for children and young people the Climate Camp can and should be a place of learning, of meeting up, of joy and of trying out new things. The central focal point for children, caregivers and the care team is the Kids tent, which is accessible at all times. Equipped with beautiful books, building blocks, painting materials, Playmobil, balls, a nappy changing table, a kettle, sofas, rugs, straw, benches, tables, and more for a nice stay, play and meeting place for small and large alike. Again, in an outlying area there will be a large trampoline and swimming pool like in previous years. Come along and chat to the “colourful hat”! For every day or half a day there will be a person in charge of the kids tent (and also really wearing a colourful hat). This person greets new arrivals, is approachable for questions, wishes and care support, and keeps an extra eye on the whole area. In recent years self-organisation was the key to a beautiful and fulfilling time of children and their caregivers. Exchange and support between caregivers/parents in the family barrio (provided tent area for participants with children) and the kids tent were beautiful, enriching and have created open spaces to take part in the adult program. In addition, every day several people without children were present who helped around in the kids tent, have read and played with the kids, and some have even taken on the care of one or more for a longer period of time. Thanks to the experience of past years, we have developed a support framework in advance, which helps us to be able to make good arrangements between caregivers and those being cared for. A classic kindergarten (dump the kid in the morning and pick it up in the afternoon again) is not realisable for us at the Climate Camp and it’s also not the objective. The ‘person with the hat’ can tell you more about this on site. In the children’s program we want to experiment with the ‘skills for system change’ playfully and with lots of fun, preferably even at a common activity or a workshop with adults. Every day there will be a special activity for children above all in the afternoon for dance, theater, painting, wilderness, adventure and more… Watch out for news on the notice boards at the kids tent and at the info tent. Playfully we will discover the nature and wild places surrounding the camp, for children aged 4-12. In doing so, we will learn what plants and animals live there, as well as the influence of people on this and the surroundings. Whether we build a giant marble run together, play hide and seek, or decide when researchers with magnifying glasses explore the environment – it all depends on of the local facilities. Tuesday, 23.08 Theatre Day: Watch theater, experience, play with, invent and share. 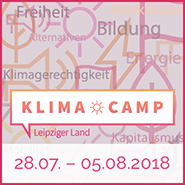 An event for all people from 3 years by Sonja (www.mimekry.de). Together we will think of stories and characters and represent them with masks and other theatrical forms. People of all ages can join in. Isabell Marie Popescu and Sonja Ewald will accompany the day with theatre pedagogy. Whether it’s occupying rees, hanging banners or rail blockades, climbing is a popular form of action in the climate justice movement. Under competent guidance, there will be the possibility for all children from 6 to try climbing in trees. We will provide all the material needed to the children. It will be pretty exciting. – We are looking for more people who want to help with childcare, or even put on the hat during (half) a day. Just come by if you’re interested! – Also those who would like to offer something for the children’s program, get in touch by e-mail (kids-kc2016@autistici.org) with the the kids tent. – We would be pleased if you also bring games/materials! A community design, with children, caregivers, and those who have volunteered for childcare or spontaneously engaging is important to us. Hello , my name is Elena , im a mum with two kids Ines 7 and Bruno 5 . Im from Spain bur we live here in Berlin since 6 years .Im so interested in to take part of this beautiful project and go with my kids. I can also help to taking shifts during the camp with all the kids . I can make some workshop with them ,crafts with recycled materials , backed , ceramic , coking etc . im looking forward to have news soon as soon as posible for to plan everything well.